Home » Travel » runDisney » Running for Charity… Why I May Never Do it Again. It’s not easy to ask people for money, no matter the reason. Getting out there and running consistently to train for a race is hard enough. Despite signing up to support a great cause, the headache of trying to raise the money for my upcoming marathon is really getting me down. Is it wrong that I may never opt to run for a cause ever again after this? As of today, I’m a little over a month from running my first marathon. Well, to be specific, I’m 38 days AND about $2000 from achieving that goal. Here’s the deal: I’m running the TCS NYC Marathon with Team For Kids. It’s my first marathon. Some of you may remember me writing about my experience with my first half marathon at Walt Disney World. Since then, I’ve run two more halves, and now I’m stepping up my game and doing a full. I would have loved for my first full to have been a runDisney race, but the NYC Marathon is not a bad substitute. The TCS NYC Marathon uses a lottery system to limit the field of runners. I decided to avoid that and guarantee myself entry by signing up to run for a charity. At the time, I felt great about the decision. After all, I’d be helping to raise money for a terrific cause. 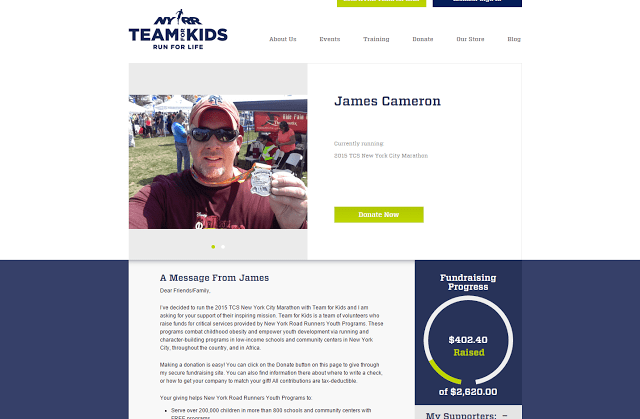 Team For Kids raises money for NYRR Youth Programs which offers free health and fitness programs to children in schools throughout the country. Through these programs, kids not only get active, but they are taught goal-setting, perseverance, determination and team work. You would think a program like that would sell it itself, right?? In return for guaranteed entry, I promised to raise is $2620. That works out to $100 for each mile of the 26.2 miles in the marathon. It seems like a lot, but if I could get 26 people to donate $100, or 50 people to give $50, or 100 people to hand over $25, that would get me close. When I thought about it that way, it didn’t sound so bad. But I haven’t come close. My fundraising page has me at $402.40 raised, which doesn’t include some cash I raised from selling bug spray over the summer and still need to deposit. All together I raised about $600 so far. But that’s not enough because I signed an agreement. I am obligated to raise this money. When we reach the deadline, I have to pay up… even if that means paying it all myself. You can see why I’m worried. That’s the little wrinkle that has me stressed. I’m not into high-pressure sales tactics or trying to make people feel guilty. I already knew this about myself, but this process has really shown me how weak I am at selling things. I put it out there, provide the information, and try to make it easy for people to donate if they want. And then I sit back and hope that they’ll want to. Honestly, I’m not the least bit mad or disappointed that more people haven’t contributed. I don’t donate to every cause I come across, so I don’t expect everyone else will contribute to mine. I feel like a beggar asking friends for donations again and again. But I feel like I have to ask, and that makes me feel guilty. I feel even more guilty for repeatedly asking. I’ve tried to find ways to make it fun or to give people something in return for donating. That’s helped a little, but it hasn’t been nearly enough. So here I am with a week to go… I’ll keep asking because I have to. Maybe a miracle will happen and I’ll somehow meet my goal without having to pay it all myself. I love running and the feeling of accomplishment it gives me. I thought it would be an even greater feeling to help a good cause in the process. 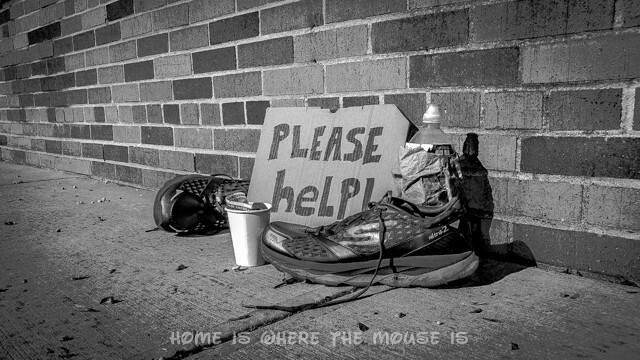 But the frustration of raising the money is canceling out the thrill of running the marathon. Once the deadline passes, the stress should be lifted somewhat and perhaps I can feel better in the last month leading up to the race. Or will that bad taste linger? That’s why I’ll NEVER run a race that requires fundraising again. Straight up donation as part of my registration fee? No problem. Committing to meeting some sort of minimum requirement? No way. Not again. 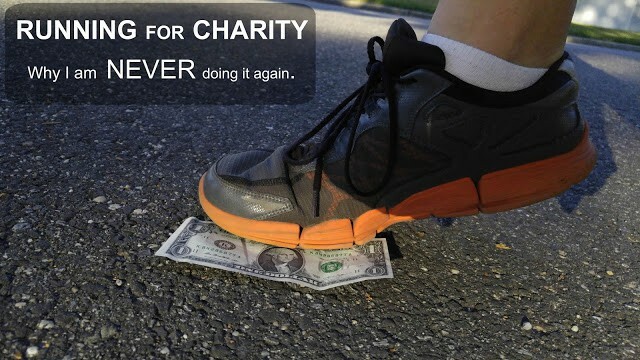 It’s not that running for charity is a bad thing. If you can do it, then more power to you. It’s just not for me. I don’t think I’m bad person. I’m just a bad salesman. I’ll leave the fundraising to the professionals and just stick to the running part, which is enough of a challenge.